Hi friends! 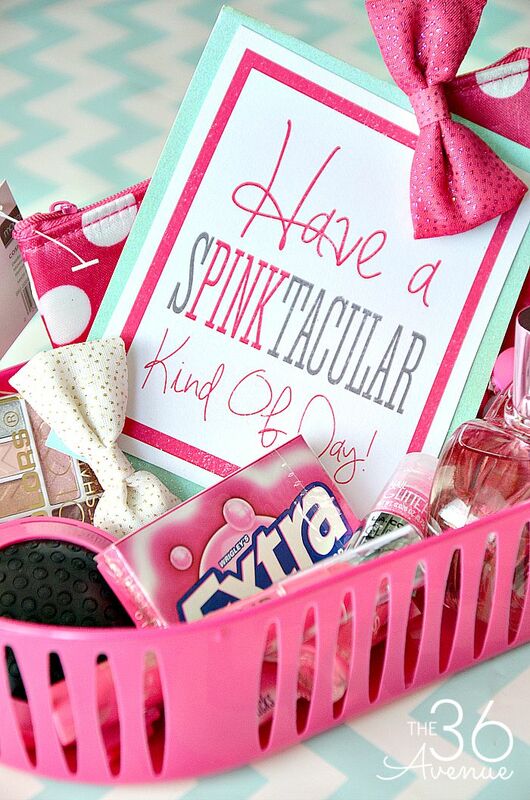 I have for you today a super cute and quick affordable Gift Idea that any girl that loves pink will love. I designed two different gift card free printables to wish the party girl a sPINKtacular or PINKtastic day. Take a look! 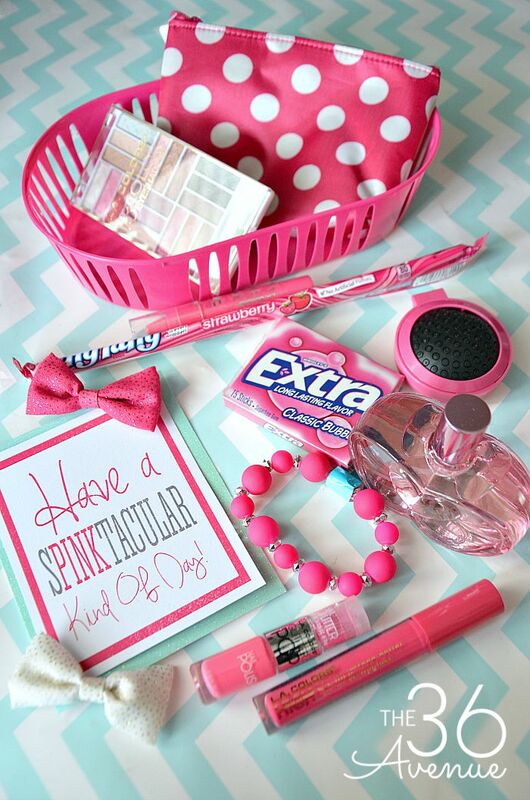 I love that you can find a bunch of super cute pink items at your local Dollar Store. I even found there the perfect little pink basket for them! 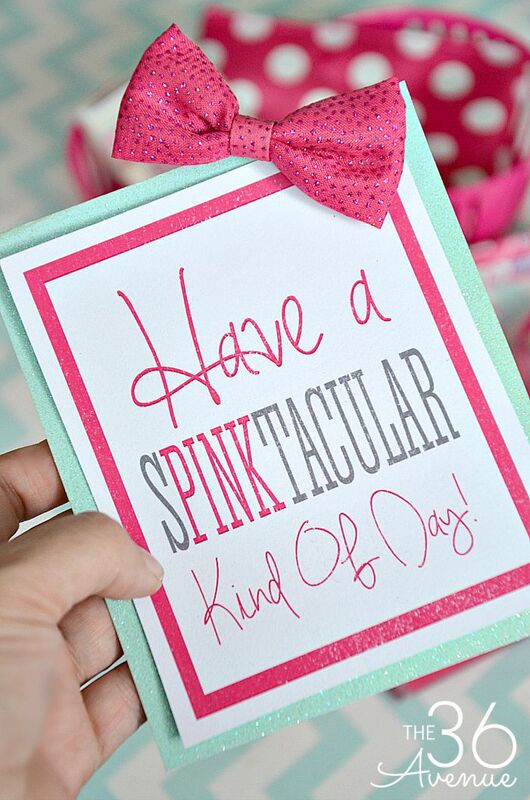 After you have chosen all the sPINKtacular gifts make sure to print our gift cards. I cut the one my little girl wanted to give her friend and I glued it on top of a piece of card stock. I clipped one of the hair clips that we got for her to the card to add a little bit of extra pink! Now all you have left to do is put all the gifts inside of the basket and place the card inside. I know any pink lover will appreciate this gift! My daughter’s friend loved it!